ATENA made contract with official sponsorship of Azerbaijan Youth Basketball league in order to insurance of children's bringing up in healthy condition who are considered foundation Azerbaijani youth. 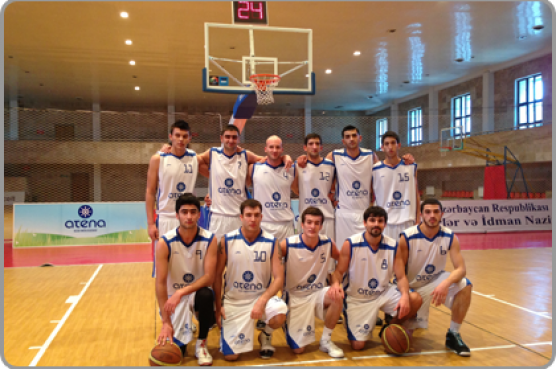 Age groups of 118 teams will participate in Atena 2012 Youth Basketball league on November 1, 2012 and May 1, 2013. Beside 66 more anxious games to be played among 18 teams in Atena Youth Basketball league, Atena Basketball Summer Academy will show activity during June 15 and August 15 too. Our children will exhaust quite health and taste products of Atena and also increase their individual development and self-confidence by playing basketball in Atena Basketball Summer Academy that will organized under the patronage of quite professional trainers.